For any business that wants to keep on top of their industry beware — 2010 will be about realizing the burgeoning power of social media to support business branding. Emerging as a major internet marketing channel, social media is one of the most challenging but most rewarding source for businesses online. Businesses that figures it out now will be the pioneers. That is why most predicted that social media is going to be the top priority among companies for brand development in 2010. With real-time search a reality, it is now even more imminent for businesses to brand themselves on the mainstream social media channels like Facebook and Twitter for getting visible comfortably on SERPs. Acts as a contemporary reference resource for your site. Helps gain relevant traffic to your site, this means your referral traffic will be increased considerably. Facilitates relevant link exposure for your site and products. Supports your search engine optimization campaign. Doubles your SERP listing chances, that means this will improve your rankings in SE. Channels wider access to online users. Brands and builds you a positive reputation online. Knowing the waters before developing your social media presence is essential to a better brand for your company and/or organization. Here are some basic bits that you should consider before blasting your brand through these major social media channels. By branding your business on Facebook and Twitter you’re giving a contemporary feel for your online brand to the online world. But using these streams to fire up revenue, business promotion, lead generation and transactions, businesses need to clearly connect in the right way in order to develop a clear sales pipeline. Before putting your business on Facebook or Twitter do some research and learn how the emerging business patterns exist already. This includes finding niche keywords used in Twitter and Facebook that relate to your business. For Twitter, use Twitter Search, TweetBeep and Twit Scoop to find some industry news and trends. To get further insight on setting up a Twitter profile, read our earlier post titled Tips For A Successful Twitter Profile. 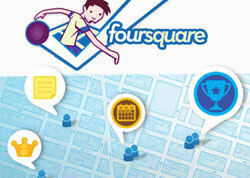 Facebook Trends also helps facilitate ideas on common search terms pertaining to your business. Both Facebook and Twitter are great tools which can be used to gain traffic for your site with one big stipulation. You should know how to use it! The following are some quick tips for better performance in social media. Keep natural: As Twitter and Facebook users are very alert and with it, let things flow naturally. Talk officially unofficial: Remember to update your readers with topical news but deliver it in language that is interesting and easily understandable. Keep the salesmanship down: Though networking and community building are the two prime jobs of social media, it is ok to pepper in some relevant service news. You can announce your offers and discounts in a clear concise manner but be tactful in how you do it. In some cases try A/B testing: Yes you can do A/B testing. For this you need to create multiple profiles. This will help you to test the various strategies for effectiveness. If you are posting from a personal profile for a business you can try posting from 2 different names with different styles and see which is more successful. Note: be tactful. Talk about topics related to your business: No point in talking about ‘X’ if you’re doing business in ‘Y’. Simply put – you won't be speaking to the people listening to you and will add followers that may not care about the majority of your posts. ”Follow” and “Become A Fan”: It depends on what kind of people follow you or become your fans and what kind of information you release. Also build a strong communication pattern with your followers and fans. 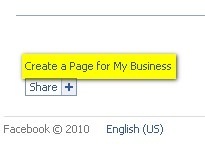 Try to expose your links: Where ever possible try to add your links to updates that are important. 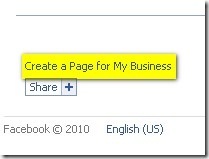 In the case of Facebook, you have an option — ‘Create a page for my business’ where you can add a special page for your business other than a personal profile. This shows the transition of social media into a business trumpeting vehicle. On the same line, Twitter has retweeting features and sites like Tweetmeme which allow you to retweet the tweet. 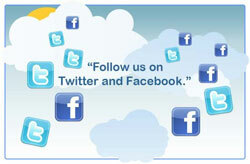 Facebook and Twitter are staple tools for business development and there is no question they are here to stay. Companies that get on board now are similar to the ones that cared about SEO back in 2002 when many companies still didn't know about it. So what is stopping you? Advertising on Facebook and twitter is a great idea, I myself follow a large amount of business on Facebook not so much twitter. You do have to be mindful though on the social platforms. Whatever you say in twitter and facebook is critical since that builds or destroys your brand reputation. The personality that you portray for our brand through all the available tools if used properly can create the right impact. I am planning to open a company and I will surely build a website for it. I never thought about advertising it on Facebook or Twitter. I saw some advertising profiles on them but I was not thinking about finding my customers through them. Thanx for brilliant idea, I will be bck in here soon. Yes indeed, social media is emerging as a major internet marketing channel and also a good way for facilitating relevant link exposure for your site and its products or services. This is the way! These are great tips. It is always of value to every social media marketer. Doing A/B testing is an excellent suggestion. Thanks for this valuable point. Interesting and very useful information. Agreed, both Facebook and Twitter can be your bandwagon for branding your business. Many are using these tools wrongly just for propagating direct sales message. But really they're getting less attention from the social media communities and circles. Your post is definitely an eye opener to those actions. Both are amazing tools. Of course the target market is badly fragmented for any brands, But we have a pubilc space which we have to consolidate and facebook & twitter are great tools for it and more importantly nothing is official here! Thanks for the post. A very true fact about the newer social media tools that have but become an inseperable part of our online business. I liked the way the topic has put forth the points on how the competition should be studied and also the advantages on Twitter and Facebook were informative. Good post there!